A new Riot Pls is now available on the Nexus, covering merging IP into blue essence, upcoming changes to the leveling system, and much more! Continue reading for more info and an FAQ! "Lead Producer New001 gives an update on Runes Reforged, changes to leveling, details of the Runes transition plan, and more! 3:41 - What’s happening to my current Runes? League of Legends Editorial Blog: http://nexus.leagueoflegends.com/"
"We're removing the level 30 cap and merging IP with blue essence, among a bunch of other changes and improvements! As you might’ve seen in this Riot Pls video, we’re working on some big upgrades for leveling and rewards in League. Specifically, we’re removing the level 30 cap and merging IP with blue essence, among a bunch of other changes and improvements. You should probably watch Riot Pls before reading further! This devblog is for those of you who wanna learn more about why we’re making these changes now. We’ll also give details on a handful of smaller changes we’re making to support the new systems. Let’s jump in. So let’s talk about what we’re doing to solve these issues. When preseason hits, we’re making runes free and giving you rewards based on how much you invested in the system. For the details on those rewards, definitely watch that Riot Pls video. We’re also introducing uncapped leveling. Remember the level 30 cap? It’s gone, and it’s being replaced with a revamped rewards system that levels up with you. Instead of getting IP after every game, you’ll receive an unlocked chest—called a capsule—every time you level up. These capsules contain champ shards and blue essence, and if you hit special milestone levels, you’ll earn special rewards like gemstones or hella rare emotes. Finally, we’re going to merge IP with blue essence. You’ll be able to spend the new currency (still just called “blue essence” or “BE”) on all the things you could previously buy with IP or blue essence. Everything in the store cost the same as before—for example, it’ll be 6300 BE for a newer champ like Kayn. “SO WHY GIVE REWARDS FOR LEVELING,” YOU ASK? First, we want to give players something to work toward beyond just champions. If reaching high levels earns you something cool like a unique emote, you’re more likely to feel recognized for your time investment. We also want to focus the rewards experience around content drops that feel far more substantial and cool when you earn them. With champ shards specifically, you’ll get to experience that lucky feeling of getting the shard for exactly the champion you were saving up for anyway, and the shard will give you a 20% discount. And—since you can disenchant champ shards into BE and then use that to buy whatever you want—you’ll still have freedom to spend however you want. Additionally, the new system will let us tailor rewards to different types of players. For instance, we’ve repeatedly heard that newer players just need more help unlocking champs. So, if you’re a noob, we can very specifically tune the capsules at the earliest levels to give you lots more champs that’ll serve as stronger “starter” characters. Similarly, if you’re a higher level player we can customize rewards to give you exclusive show-offy stuff. By combining IP and blue essence into one currency, we’re connecting a bunch of disparate systems (leveling, rewards, and loot) together. Before, if you got a shard for a champ you didn’t want and disenchanted it, there wasn’t much you could do with your blue essence. Now, though, you can just take it to the store and get whatever champ you want. Merging IP with BE directly connects the store with the loot system in a way that gives you more choice about how to use your rewards. Uh, yeah, a few. Mostly we’ve gotta make changes to loot so it feels great to interact with and is balanced properly with the new leveling system. Since you’ll be getting so many more shards thanks to the new leveling system (and with other recent changes to honor and events), we’ll tune down the relative value of the essence you get from disenchanting shards of all types—champ shards, skin shards, and ward skin shards. In the current system, for example, disenchanting a champ shard will get you about a third of the BE you need to buy a champ at that shard’s tier; In the new system it’ll get you 20% of the way there. Also, with so many more champ shards in the system, we need to remove the ability to reroll them into permanent champs—but we’ll occasionally sell mystery champions for blue essence. For these reasons, you should go ahead and reroll or disenchant any shards you don’t want to upgrade before preseason hits so you can get the most essence possible out of them. We’ll add reminders to the client as preseason approaches so y’all don’t forget. To offset the disenchant rate changes, we’re going to change the way loot chests work so you’ll have a chance to get two drops in each chest. Get ready for chests inside of your chests. We’ll also add “bad luck protection,” so you won’t ever go on long streaks without getting a skin shard or a gemstone from chests. We should stress that the vast majority of you will earn the champs you want about as quickly as you did in the old IP-based system—and it’ll be faster in some cases.That’s because of the sheer number of shards you’ll be getting from leveling, honor, and the mastery system. Of course, it’ll also be faster generally since you’ll no longer have to spend on runes. The only folks who’ll feel like they’re earning currency a little more slowly in the new system are higher level folks who play many games each day. That’s largely because we’re going to turn the “first win of the day” into a more substantial daily mission. It’ll give you way more XP than before, and subsequent games will kick out a little bit less. Regardless, those of you who play a lot will still earn more BE than anyone else, and we want to make sure that you always have something good to spend it on. So at the beginning of this preseason, just when we’ve done the IP-to-BE merge and you’ve got tons of spending power, we’ll introduce our special, limited-time blue essence store. You’ll be able to spend your extra BE on things like chromas, ward skins, and even a rare skin. Generally speaking, cosmetic content like this will almost always be available only for RP (or as lucky loot drops), because that’s how we reinvest in the game. However, we’ll occasionally bring back sales like this for folks who level up fast and find themselves with too much BE on their hands. Since the store is keeping the price ranges from the old IP-based system (6300 BE for a champ like Xayah), we need to “scale up” the amount of blue essence you get when disenchanting shards. Right now you only get a couple hundred BE when disenchanting most champ shards, but that number will be much higher after we merge BE with IP. It’ll feel like you’re getting loads more out of shards, but it’s really just balancing to help BE maintain its spending power. So, what about the blue essence currently in your inventory? When preseason hits, we’ll scale it up proportionally (multiplying it by about 6.5 times) when calculating your new BE account balance. So if you already have 975 BE in loot, we’ll convert it into 6300 BE when preseason hits. One final note: Since IP is becoming blue essence—which is now tied to leveling—we’re going to stop selling IP boosts starting now. If you already have active IP boosts, they’ll just turn into XP boosts when preseason hits. XP boosts will also be repriced to cost what IP boosts do today (since that’s now how you’ll get rewards faster). Thanks for reading! We can’t wait for everyone to get their hands on all this stuff during preseason. Please leave us any feedback you have in the comments below and we’ll jump in to chat." Today's Ask Riot announced a lot of exciting changes to IP! We want to break it down to prepare for the conversion of IP to Blue Essence in Preseason. All tier 3 runes are now 10 IP. As you stock up, be aware that you cap at 700 runes. Exceeding that will result in a maximum reached error that looks like this!You'll need to submit a support ticket so we can fix this for you. We are currently investigating reports of an Unknown Error when attempting to purchase Tier 3 runes. Submit a support ticket so we investigate this further while directly assisting you with your purchase! Any runes purchased between the start of 2017 season and September 1, 2017 will receive a full return in Blue Essence. Runes purchased after that date will not be refunded. Cactopus explains more on refunds here. Any rune pages purchased before September 1, 2017 with IP will receive 1500 Blue Essence per page. Conversion on Rune Pages purchased with RP, gifted, and more. Players will receive an Epic Mystery Skin on a champion they own for every 4 rune pages spent with RP, rounded up. Rune pages obtained through special means like events or Refer-A-Friend will notbe eligible for conversion or the mystery skin. Rune pages obtained through the gifting center will only count towards the recipient. 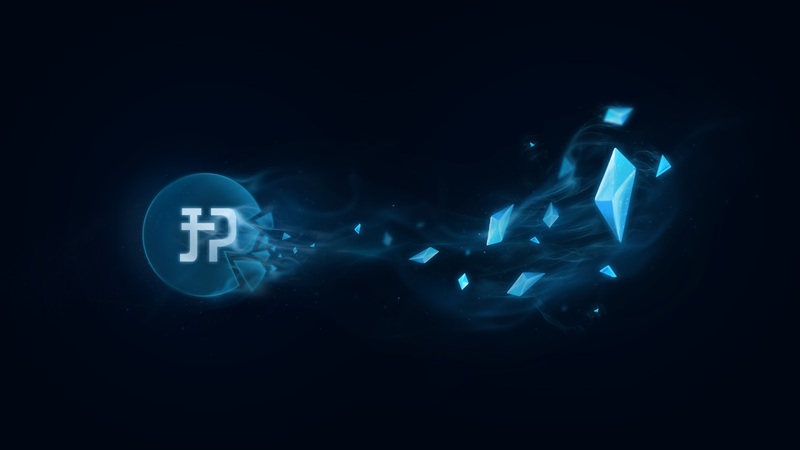 After IP has been converted during the preseason, a limited time Blue Essence Shop may open. 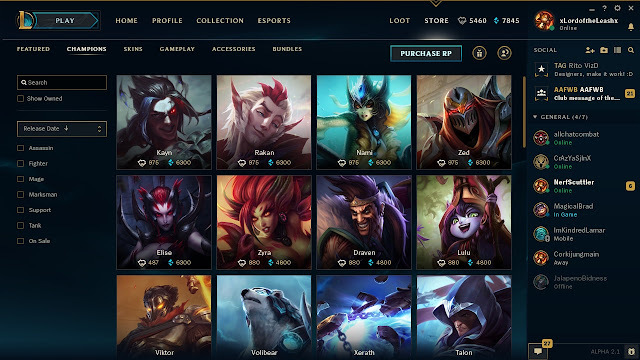 This shop may contain content like ward skins, icons, chromas, and prized items. More specifics, updates, and information will be provided per usual through ourNews page." Pwyff and other Rioters are answering questions over in this Reddit thread! also what level would be rank game unlocked? I'm a bit worried we won't get IP anymore after every match. The new system is really interesting and more fun than grinding them though. But the thing that worries me is that after some time, the road to getting a new champion becomes really slow. Let's suppose, I get chests with a lot of champions, I climb to a reasonably high level and then I would have to work a lot for another new champion because that's what I need to even get part of the blue essence I need to buy it. There is a cap on the XP required per level to make sure this stays under control rather than ramping into infinity. There are also 'mini resets' on the leveling speeds, so you're not always needing more XP per level. Also our goal isn'tto make it really hard to earn champions at higher levels, so we're going to keep a close eye on this. We also assume that if you've been playing a lot and hoarding a lot of IP (or champion shards / BE in the new system), you don't want new champions as much, but let us know!" Will we get retroactive experience? i.e. I've been level 30 for two years; will I still be level 30 after all this goes live or will the system calculate how much XP I would have gotten over the years with no level cap? You’ll still be level 30, and start earning XP from there." As I understand it, there will be a special emote for veteran players, with three tiers based on game time played." Nah, it's because this is basically a brand new rewards system that's replacing the old one (IP). Basically, it makes more sense for everyone to progress and unlock rewards for engaging with the system rather than by skipping ahead. That said, we expected that reaction to some extent, so we're working on a little something: three tiers of an exclusive in-game emote based on # of hours spent in-game." The legacy rune rewards aren't rolling out until preseason hits, but you can go ahead and figure out roughly how much you'll get right now. I've calculated mine below as an example. So for just the runes, I'm getting back 19,800 BE. I own 18 Rune Pages. I think only two of them were purchased using IP, so I'll get 3,000 BE for that. Assuming I bought 14 rune pages using RP, I'll get four epic skins (it's one skin for every four you bought using RP, but we round up in your favor). When we merge the two into the new BE, your old BE gets scaled up. If you're in any region except China or Garena, we'll multiply your current blue essence by 6.5 (the ratios are different in other regions). So in my case that 1,345 BE turns into about 8,743 BE. My new total will be 60,384 BE. And I'll be able to use that on whatever I want, whether it's new champs or some crazy stuff from the special BE store we'll run. I'm obviously not the average user—most players haven't invested as much into runes or rune pages. But this should give you a good idea of how to work out the size of the "care package" we'll be giving you in preseason. Oh, and remember, you're getting a FULL refund for everything you spent on runes (but not rune pages) since the beginning of the 2017 season, so try to factor that in." "the drops will not look at what you already own. for players with all the champions (Joe called yalls IP dragons) - we are doing a temporary special stuff store"
"A lot of folks are asking why we don't start veteran players past level 30. And it's a great question and one we struggled with a lot. At the end of the day, the vast majority of these changes were not aimed at new players. They were aimed at current players, to smooth over some rough spots in the design, and to give you some goals to shoot for (and rewards for hitting them). With that framework, we didn't think it made sense to start so many millions of players at very high level and just dump a whole bunch of rewards on you on day one. It takes the goals away from the very players they were intended to support. It creates this really weird moment where you get showered in chests that won't happen again. In addition, it's entirely likely (and I'm just guessing - I haven't validated this) that we would have had to make the rewards less robust if we handed out so many on day one. We do want to thank you for your commitment to League, and we do want to honor your veterancy in a way you can show off. But we didn't want to release a feature that a huge majority of LoL players would just skip through or start way ahead. But it's great feedback and we hear you." "Presumably you already have been rewarded with all IP you accumulated with those 5000 games vs dude with 1 game at lvl 30. This is an entirely new system which changes how you gain rewards (per level, not per game anymore)."